Are you struggling to get known in your industry? Despite how hard you try and all the work you put into marketing your business – hardly anyone knows about you. If this sounds like you then grab a pen and paper as you’ll want to take note of today’s guest and her expertise. Joining me is Catriona Pollard. She is the founder and director of CP Communications, a well-respected and innovative PR and social media agency. She is the author of the popular book, ‘From Unknown To Expert’, a step-by-step process for growing your profile and expanding your influence using PR and Social Media. Why it’s important to take action. Transforming from unknown to expert takes patience and practice and focus and it’s easy to feel overwhelmed. Why use PR and social media to build your profile. PR and social media can be the difference between being a well-respected leader in your field and just wishing you were. Using the Unknown To Expert Five Star System for growing your profile and expanding your influence. 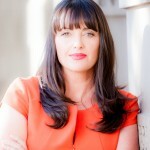 Catriona Pollard is the founder and director of CP Communications, a well- respected and innovative PR and social media agency. She is the author of the popular book, ‘From Unknown To Expert’, a step-by-step process for growing your profile and expanding your influence using PR and Social Media. What did you think about the message Catriona shared today? What action are you going to take?